This is my second post as a Guest Designer for Concord & 9th, featuring their fabulous February release. 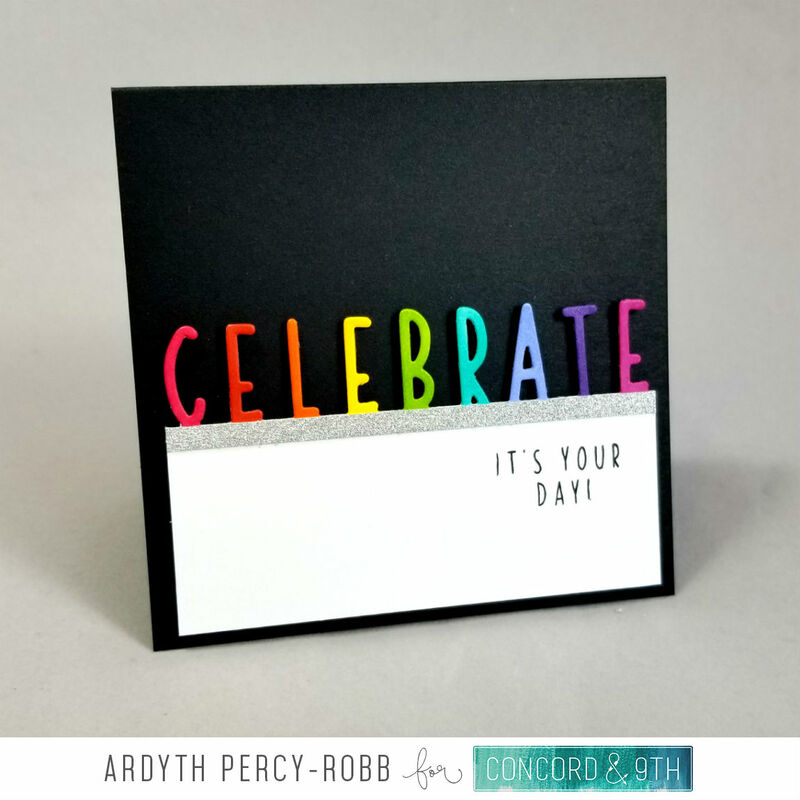 Today, I'm featuring the Birthday Stacks Stamps and Dies and WOW! I could work with these products forever! There are so many possibilities! 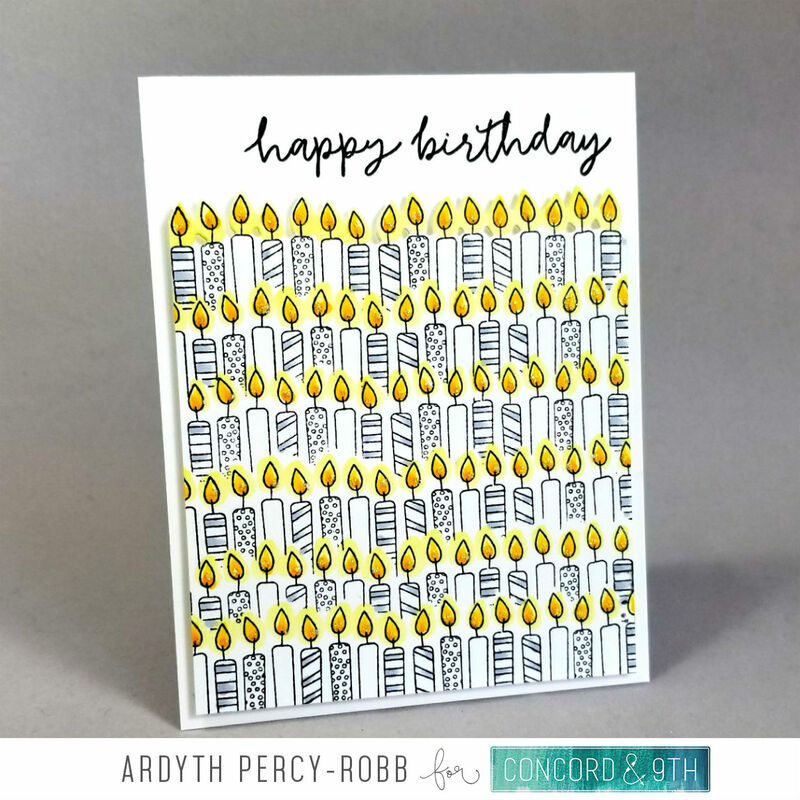 I started with the candles stamp and matching die. I stamped the candles at the bottom of my panel and then created a mask out of masking paper with the die before stamping a row above. I kept going until I had all these candles on the card. I cut the top row with the die for some texture and interest and popped the panel up on a plain white card where I had stamped my sentiment. I did some copic colouring in cool greys and yellows and added some Stickles for sparkle. You could do the exact same idea with the presents and the balloons stamps. Next up, this celebrate edge die. I fell in love with it and I will use it a lot! Here, I cut it from a white panel and carefully coloured each letter with a copic marker. I added a strip of silver for sparkle and stamped one of the little sentiments. Quick and easy! 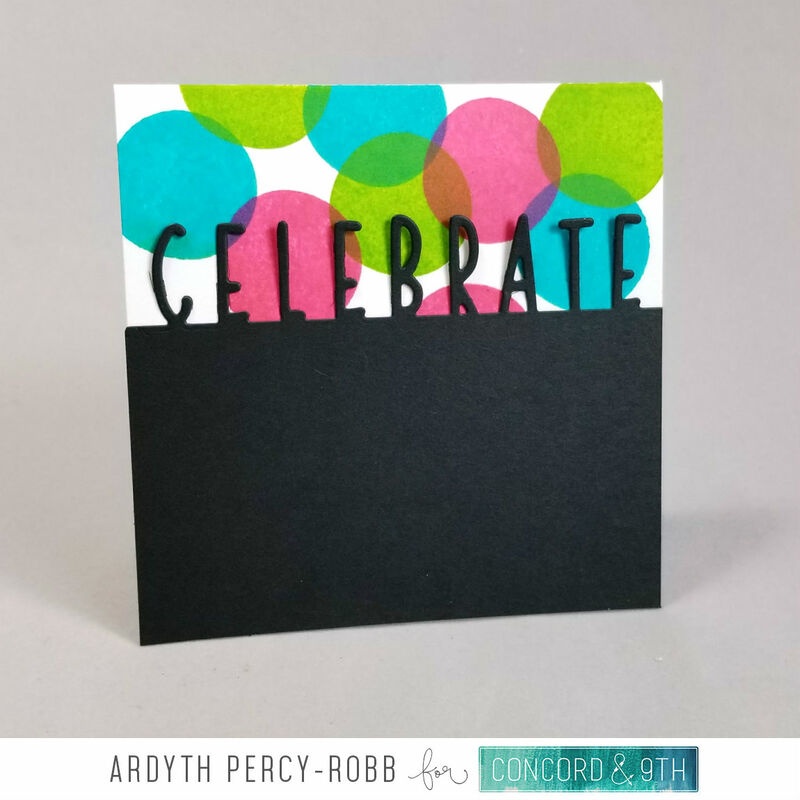 This set comes with solid stamps that you can use to fill in the outline shapes quickly, or you can use them on their own like I did for this card and the next. I started by stamping CELEBRATE in rainbow inks, using my MISTI and some tape to mask each letter. I then stamped my balloons with two colours each, to create dimension. There is a string stamp in the set, but can you believe I lost within about 2 minutes of opening the package?! Grrr! I hate that! After searching everywhere, I gave up and drew my strings in. I cut the edge of the panel with the decorative edge. OK, this is the card you make when you have 2 minutes before you're leaving for the party. Or does that not happen to you?! LOL! Cut a coloured panel and cut out the celebrate die. 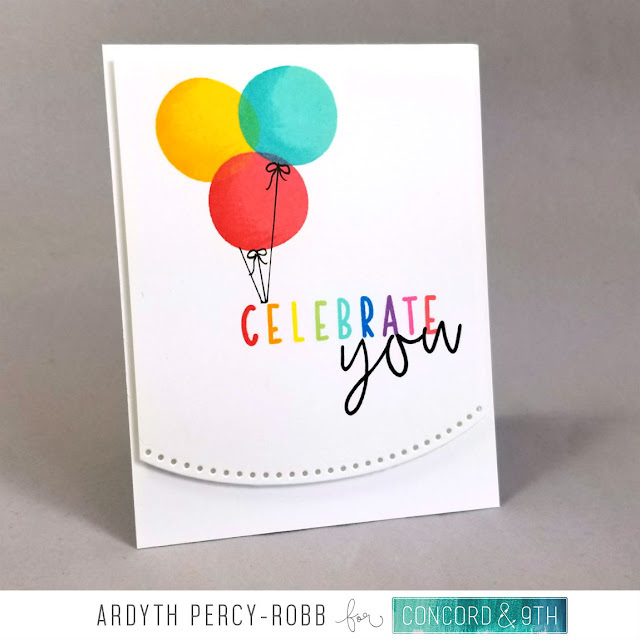 On a white card, stamp a bunch of the balloon-fill-in circles in bright colours. Add some glue and you're done! Finally, although this is a birthday set, You can use it for other occasions. Here, I stamped the balloons over and over, turning them and creating a fun background. I then took the solid stamp and inked up a few with lime and aqua inks and added a die cut thanks (we're featuring these next week). There's a lot in this post, but I really feel like I've only scratched the surface of these amazing products. I know there are 3D options you can make with them - I can't wait to give them a try! Fun cards. I particularly like your candle card. These are such FUN birthday cards, Ardyth! Love them all! Gorgeous cards, Ardyth! Your CAS style makes all of these new goodies shine...in fact, I can't pick a fave! Great job showcasing the C&9th release! You've really sold me on this set, Ardyth.